Veronica is a futuristic warrior women. Genetically engineered and seven feet tall, she was trained to kill like no other. And then she was booted from the military that created her. 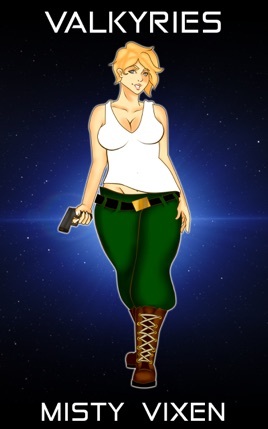 Saf is a kai, living in a galaxy where she is one of the very few of her kind who chooses to travel among the other races that share a galactic civilization. What they have in common, besides being best friends and casual lovers, is that they're both mercenaries who are fed up with working under idiots.